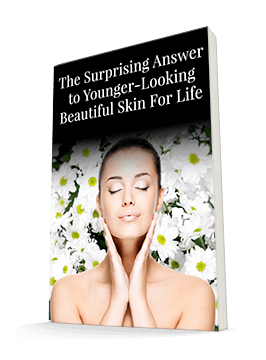 Last week, I told you about a manmade antioxidant that can protect your skin against ultraviolet radiation. That antioxidant, Tiron, isn't available right now. But you don't have to wait to protect your skin against the damage the sun can cause. We already have a great way to protect your skin. And it's readily available. According to a new study, green tea is an excellent way to protect and heal your skin from free radical damage. Green tea extracts are full of polyphenols, which fight free radicals. And green tea can improve the outward appearance of your skin too. In a recent study, researchers applied green tea formulations to the forearm skin of 24 participants, then looked at their skin after 2 hours, 15 days, and 30 days. They also left an area of the skin untreated to use as a control. After 30 days, the researchers found a significant improvement in the skin viscoelastic-to-elastic ratio. And after 15-30 days, skin roughness decreased dramatically. Green tea certainly seems to have considerable moisturizing effects that lead to skin relief. Another study, conducted at Emory University's Department of Dermatology in 2005, treated women suffering from photo aging with green tea. The participants used either a 10% green tea cream and a 300 mg twice-daily green tea oral supplement or a placebo for eight weeks. 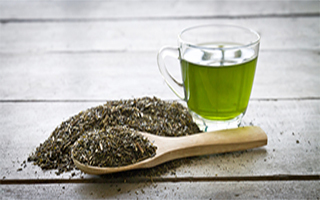 Those using the green tea saw noticeable improvement in their skin elasticity. A German study in 2009 gave subjects green tea-filled cotton pads to apply to their skin for 20 minutes a day prior to receiving light therapy. Those who used the green tea saw the same skin rejuvenation results in one month that took 10 months for those receiving light therapy alone. Clearly, green tea has a lot to offer. The cosmetics industry knows this and is starting to add it to their products. So look for products that contain green tea. Make sure the product you choose has a functional amount of green tea. I have used Advanced Green Tea Cream with very good hydrating results. It's an effective and natural way to keep your skin safe and healthy. Dermatol Ther. 2013 May-Jun;26(3):267-71. doi: 10.1111/j.1529-8019.2013.01552.x. Epub 2013 Mar 13.